The 2013 Upfronts wrapped up this week with the big boys finally throwing their content into the ring. We'll have to wait a few months now to see what sticks. but here are our top choices from the announcements made by ABC, CBS, Fox, NBC, A&E, FX and TNT. Based on his own life of tang time of from acting to battle Parkinson's disease. 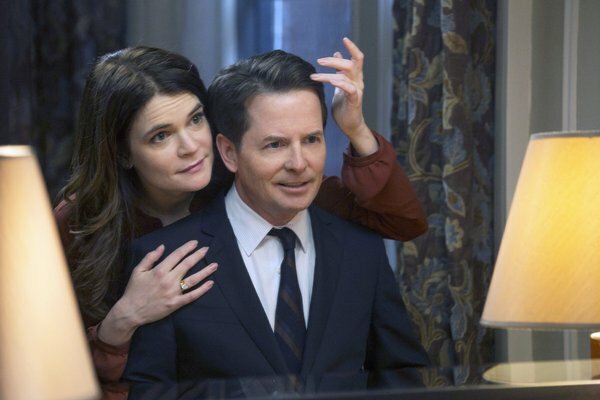 We're thrilled to have MJ Fox back on TV full-time. We like our Robin Williams in small doses, so we're not sure if his return to series TV is a good idea. But it is this roots after all, getting his start in Mork & Mindy. Now he's back with a new leading lady, Sarah Michelle Gellar, who plays his daughter. Aaron Zelman from Damages and The Killing brings another suspenseful mystery to us with Resurrection. It's about the residents of a small town in Missouri whose lives are turned upside-down when loved ones they thought were dead begin returning home. It stars Omar Epps (House), Matt Craven (Crimson Tide and A Few Good Men), Frances Fisher (Titanic) and more. We're glad rot see Will Arnett returning this season in The Millers. He plays divorced a local roving news reporter who lets his mom (Margo Martindale) move in after dad (Beau Bridges) dumps her. A real life Monopoly game? Sign us up. Eight two player teams will compete to amass property and wealth. Brought to us by Dan Cutforth and Jane Lipsitz, the creators of Project Runway and Top Chef. Ought to be interesting. And as a second enticing reality offering, TNT has The Big Deal, a cross-country scavenger hunt created by the producers of The Biggest Loser and MasterChef. Kiefer's back. A new 12-hour 24 event. Do we rally need to explain? There are a lot of serial killers on TV these days, so we're not sure we need one more. But this one is Produced by Ron Howard and Brian Grazer, and stars James D'Arcy and Chloe Sevigny. What's not to love?